Avigdor Book is a mechanical engineer by profession and currently is employed by Tufin Technologies as Director of Training and Knowledge. 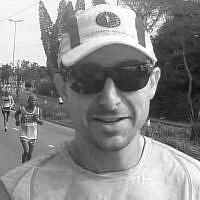 His main passion lies in marathon and ultra-marathon running, covering much of Israel’s beautiful land, on both road and trail. He has run over 30 marathons, plus many ultra-marathons worldwide and is forever indebted to his family and friends for their unwavering support.